100% guarantee: Norton will keep your device virus-free or refund. 30-day free trial on most products and versions. Symantec Norton Security is an all in one solution for your internet security needs. Norton Security is a suite of tools that offers protection for all of your devices. This includes Windows PCs, Mac's, Android, and iOS devices (both phones and tablets). With more than 175 million users worldwide Norton Security is one of the top choices among home and small business users. Symantec has been in business since 1982 and has become a large company which focuses solely on security. They have the resources to keep up with new malware and virus threats as they emerge. Norton teams of security experts are constantly analyzing new threats and devising new ways to protect your devices from them. 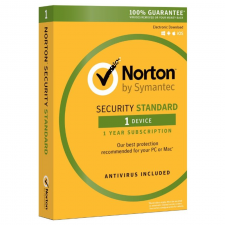 The confidence they have in their product is huge as Norton Security is the only software of this type (that we are aware of), which offers a money back guarantee if your device ends up getting a virus. Purchasing Internet Security and Anti-Virus software is a little different than most other software. You don't purchase the software outright since the software needs to be updated almost daily to protect your device as new viruses and other security threats are discovered. Therefore virtually all security software is purchased via a subscription which usually renews annually. Norton Security follows this model. Norton products have an excellent support system. They offer 24 hour chat, email and phone support with little or no wait times. There customer service agents can also help you by using Remote Assistance to access your PC or Mac. The Norton Community web portal also offers a top notch FAQ and blog posts related to securing you electronic devices. One of the best parts of the community are the online forums which contains answers to thousands of questions Norton users have asked and answered. Norton Security offers a large number of tools to protect your devices especially if you go for the Premium version. It can be priced well if you happen to purchase a subscription during a sale which, if last year is any indication, happens about half the year. If you have a family with a couple of teenage kids then the Premium version is what you want to subscribe too as it will protect up to 10 devices, including PCs, Macs, phones and tablets. During our tests we found that Norton this year seemed to run a lot faster especially comparing Windows 10 to previous years. Malware and spyware blocking by email and downloading met and exceeded our expectations putting this product above most others in the Internet Security and Anti-Virus categories. If not on sale can be pricey. How well does the software protect your device? How fast does the software run? Is there noticable slow downs of your device? Is the software easy to use and understand? I ordered Norton Security and downloaded the trial software from the url. It was easy to install and then I just entered the product code to activate my 2 year subscription that I purchased. The install went smoothly and my pc is now protected. I have email protection, file protection, and protection from ransom ware which is what has me worried these days. I switched to Norton from Bitdefender as I heard they are the best antivirus software these days. Just a note... Renewals happen at the regular price not at the deal price you get it for. Protects my PC agains't ransome ware. This is the second time I have ordered Norton Security as I was extremely happy with it last year as it has solid protection that is unobtrusive, you don't even know it is running until it finds something. No computer slow downs. I don't have 10 devices which the Premium version covers but I do have more than 5 so the Deluxe version was out. 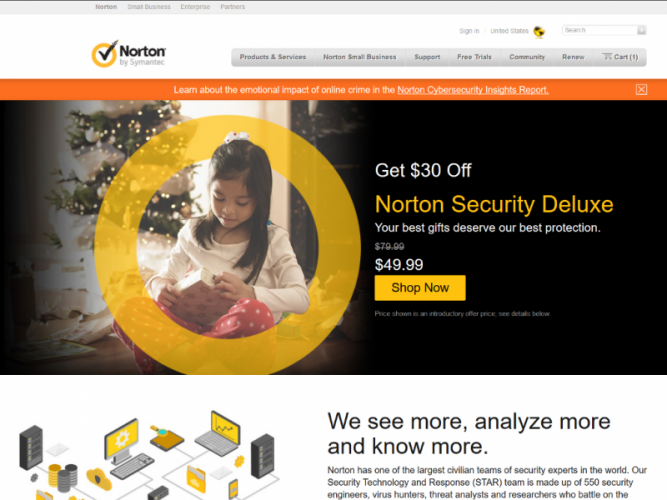 I do recommend purchasing Norton Security through Amazon though as it saves money over Norton annual renewal. No problems getting Norton installed on my new Windows 10 laptop. This was the first time I bought a laptop which had no virus scanning software except for what Microsoft has installed by default. I wanted something to scan my emails in Outlook since for my business I use email and MS Office a lot. I've used both Mcafee and Norton over the years but in the last few I have always seem to go with Norton. 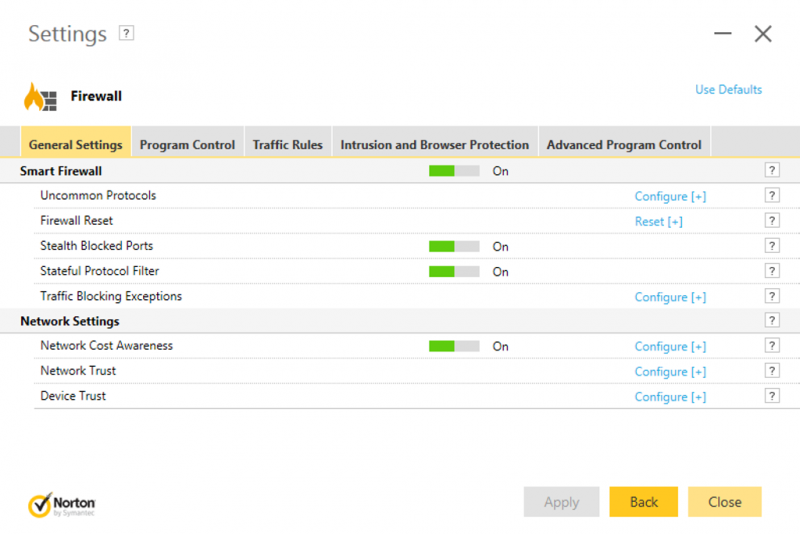 Norton Security has a lot of features and is priced better than competition. I purchased a subscription a couple of months ago and haven't had any problems. You never really know Norton Security is there as it just works in the back ground and only interrupts you if it detects a potential threat. It is a good piece of software. 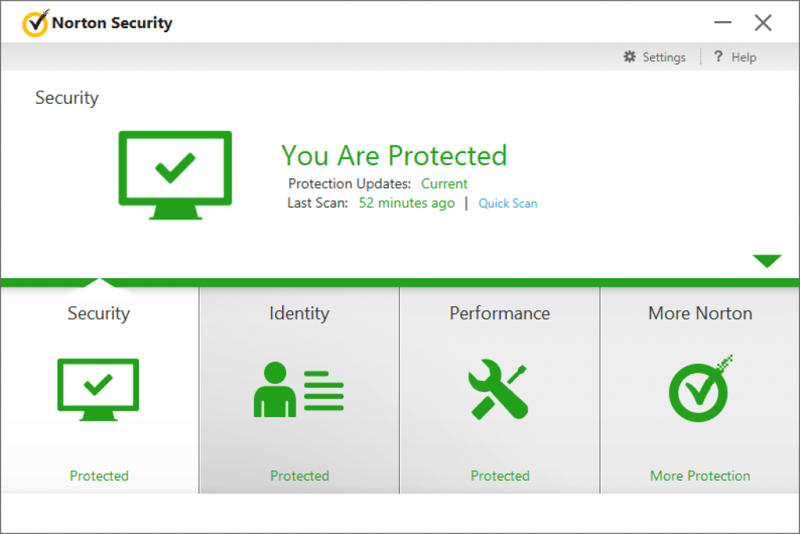 Norton Security is a good product and it allows me to protect all of my devices. My current renewal is up in a week so I just renewed my subscription. Two complaint I have is that Norton "reminds" you a little to often when your renewal is almost up. Once you only have 1 month left the software will keep bugging you to renew. The other thing is that when you do renew early your new license starts when you enter the key. It doesn't start when your old subscription expires. This is cheap by Norton and means you loose out on your last license by X number of days. It wasn't to bad for me since I only had a week left but it does leave me feeling a little cheater which isn't a good thing for repeat customers. So if you are renewing then wait until the last few days. 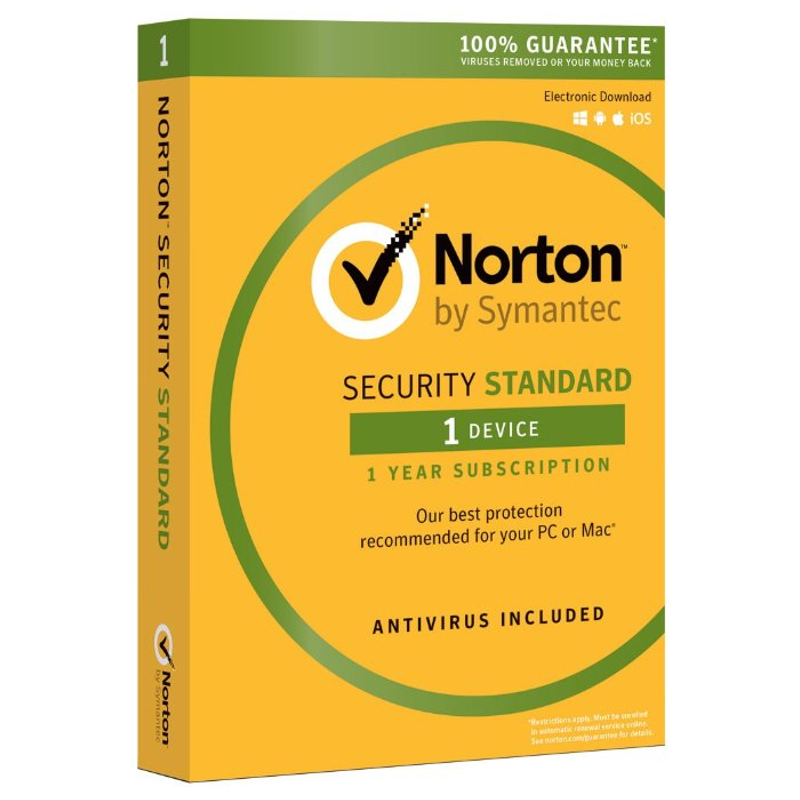 I found Norton Security to be cheaper on Amazon than their own website but I think that depends on what sales you find. Once you have purchased your new license you then just enter the license key in Norton and that is it. No new software to install or anything. 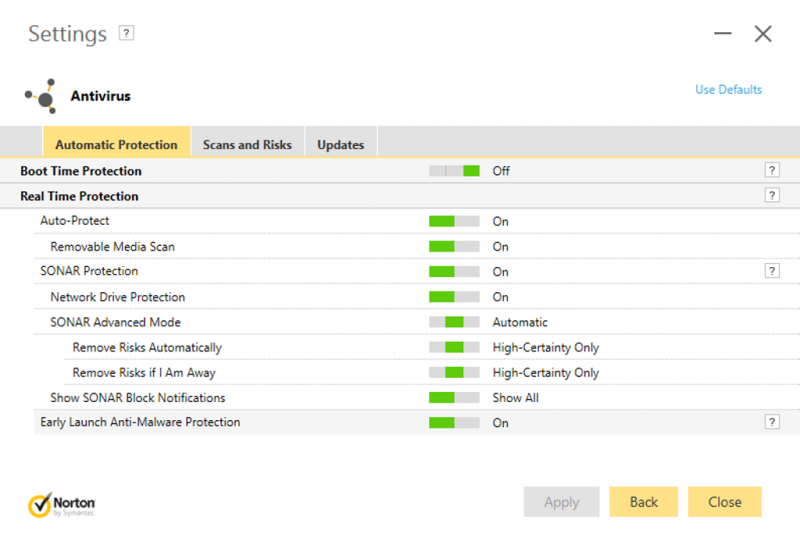 Besides my complaint I still do recommend Norton as it has a lot of features, is good at protecting my laptops, includes Identify Safe, and doesn't cost to much. I was confused at first with the name change. Sometimes a company can have too many products Norton 360, Norton Internet Security and now it is just Norton Security. Anyways this was just an upgrade for me this time and it worked as expected once I renewed my subscription. I find the norton protection to be worth 5 stars especially since now it will protect my phone as well. For the last year and half since I have been using it I have never had a virus or had spyware installed. It has always caught the offending email or website I visited that had a virus. I must say that I do try to practice safe browsing by only visiting websites that I would think would be safe but it is always important to have up to date security software. I got my parents using Norton as well on my subscription and I monitor their computers remotely since they always seem to "forget" to update their computers. I also have norton installed on my 5 year old laptop with Windows 10 installed as well. It chugs a bit with it but I rather have it protected than not since it is what my kids use.